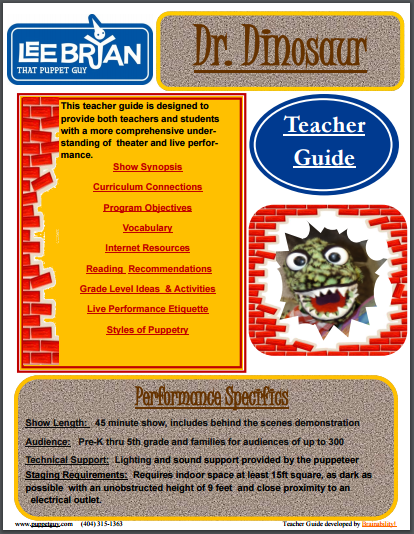 Join Dr. Dinosaur on this exciting expedition of prehistoric proportions! 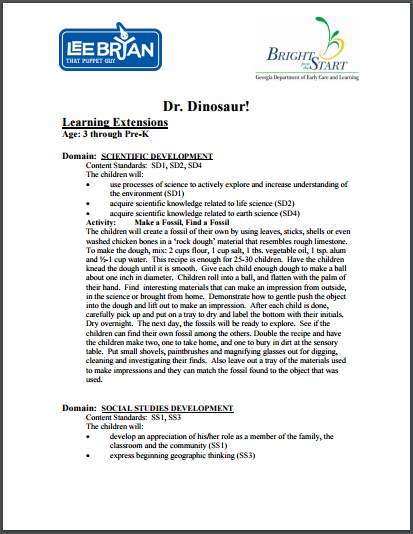 You’ll discover how Paleontologists learn interesting facts about Carnivores and Herbivores by examining the fossils and bones they left behind. 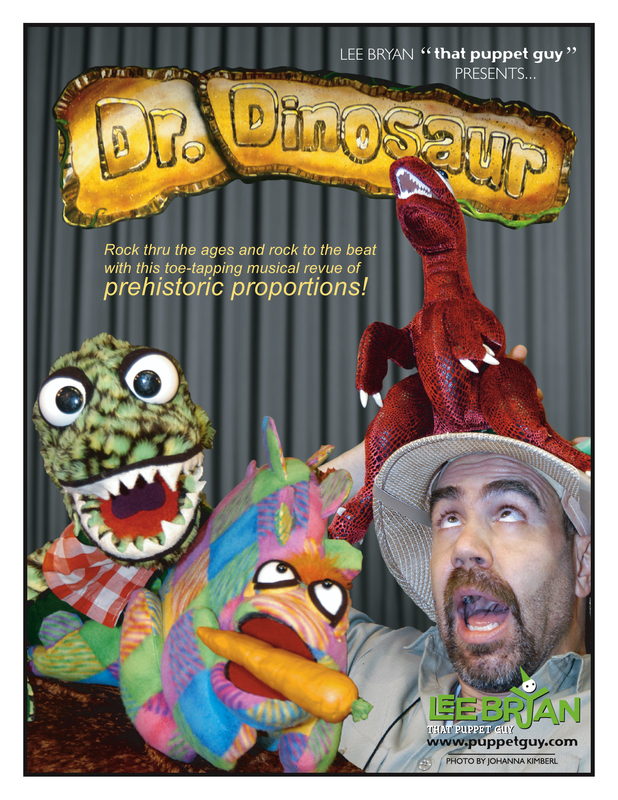 Rock thru the ages and rock to the beat in this toe-tapping musical revue featuring rod puppets, hand puppets, original songs and of course, dinosaurs! 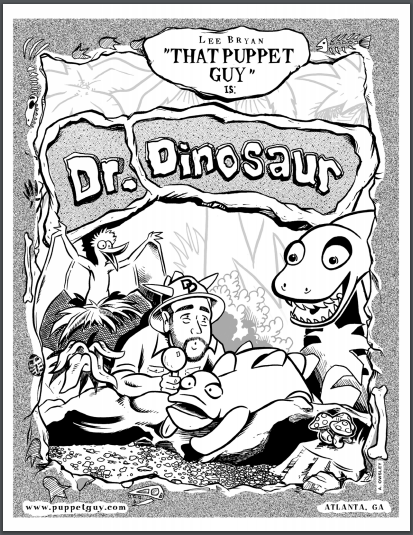 Download all the Dr. Dinosaur! assets, including hi-res photos.